We make sure that our customers feel safe placing their trust in us, through professional logistics based on the latest delivery principles designed for efficiency. 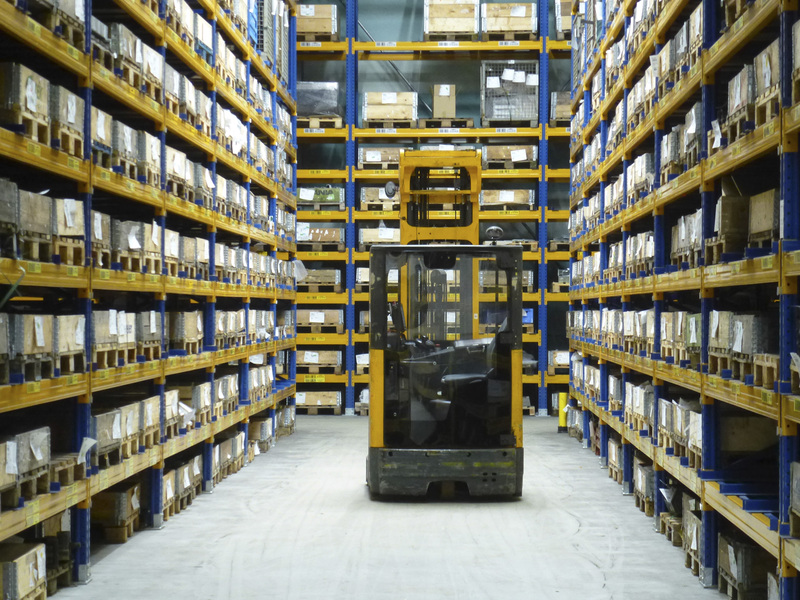 Raw materials and manufacturing orders are managed in our internal logistics using a computer-aided inventory management system with a forklift truck guidance system. Thanks to the use of innovative technologies, we have direct access to all production-relevant information. The control of the goods flows within the company occurs by means of deadline, time and route optimisation. Delivery to customer and supply of external processing, such as surface protection, occurs via our own vehicles and tried-and-tested contract forwarders. We always take optimisation possibilities regarding costs, benefits and energy efficiency into account in this regard. If possible, we develop logistics circuits in the form of the milk run concept, which stands for needs-managed internal company and outer-company logistics. The kanban method from Japan, which is oriented to the actual use of materials, is of particular importance in this respect. Glüpker Blechtechnologie GmbH sees itself as part of a supply chain that has to be secure, reliable and flexible. We aim for the tightly-coordinated coupling of production processes with production strategies like just-in-time and just-in-sequence. We can react quickly and reliably to fluctuations in demand, changing customer behaviour and market changes. Our logistics concept is guaranteed to keep its promises. Thanks to the use of innovative technologies, we have direct access to all production-relevant information.